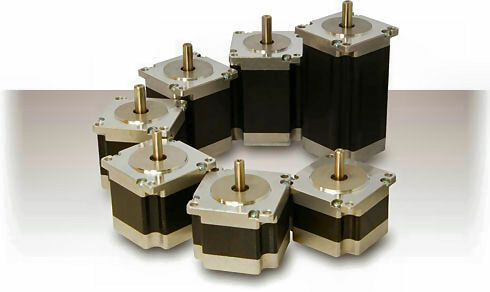 NEMA23 stepper motors in seven different power sizes with torque up to 3Nm (425oz-In) always maintaining the flange in standard NEMA23. Some models are offered with two different wiring methods to best fit the application. The motor shaft can be supplied with a diameter of 6,35mm (0,250In) or 8mm (0,315In) with flattening (recommended for motors with torque over 1,5Nm 213In). The models M1233070 and M1233071 supply the highest torque amongst the motors with NEMA23 flange available on the market.